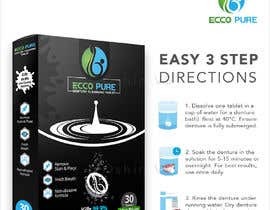 1) The first design I need my product next to dentures in a cup filled with water and also an Invisalign retainer in a separate cup with water in it. 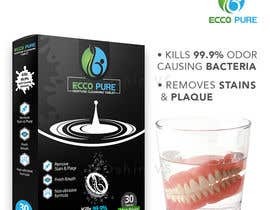 My product is used to clean these products so this will show customers my product is used to clean them. 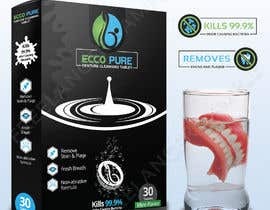 Also have the text above saying KILLS 99.9% ODOR CAUSING BACTERIA and the another text saying REMOVES STAINS & PLAQUE - you can have these 2 texts in bullet form above the dentures/invisalign in a cup of water and to the left of the cups is my product. I hope that makes sense. 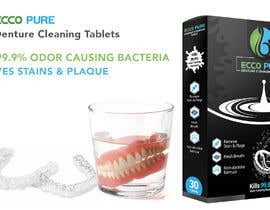 3) The 3rd design I need my product in the image also and the text in the image is RETAINER CLEANER (which is the title of the image) and beneath the title in much smaller font size is the words PERFECT FOR CLEANING RETAINERS, NIGHT GUARDS, DENTURES --> You can also add any additional image to the right of my product demonstrating this. I will leave this up to your judgement (nothing copyrighted). Hi, could you please indicate the ratio of the poster/ banner? 1:2 or 3:4 or whether you would like it to go on web or print? Hi sir/madam, is it okay to use stock images?